The growing and accelerated importance of politics – conceived as a direct and concrete action – in the Argentine films of the ’70s was blocked by the military coup of 1976. For seven years State terrorism suppressed any possibility of protest, of critique or even of dissent. The transition that, in 1983, pulled the country out of the long nightmare of the military dictatorship was clumsy and opportunistic. The abolition of censorship, the encouragement to production, and the awards at international festivals contributed to a phenomenon that was quickly taken to be a renaissance of Argentine cinema though, in fact, very few original projects and very few filmmakers appeared in those years. Movies were made by well-known directors used to working in advertising with big budgets and taking few aesthetic risks: Eliseo Subiela, Luis Puenzo, Fernando Solanas, Juan José Jusid, Raúl de la Torre. There were indications of change by the mid-’90s. The opening of several film schools and the emergence of a new film criticism prepared a different context for young filmmakers. 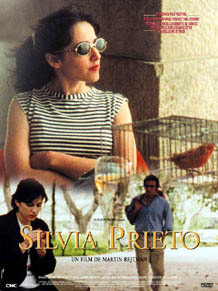 The point of departure of the so called New Argentine Cinema can be found in the film Historias breves (Short Stories, various directors, 1995) that brought together a group of short films directed by young filmmakers and backed by the INCAA (the National Institute of Cinema and Audiovisual Arts). Most of them from film schools, with little or no experience in the industry, the new filmmakers rebelled against the conformism and the commonplaces of professional directors. A producers’ cinema, impersonal and deceitful, supported by famous TV stars, was pitted against an independent cinema with new ideas, innovative narrative styles and films usually made with low budgets. It was Rapado (Martín Rejtman, 1992) that first showed an alternative mode of production with minimalist aesthetics that would promptly be inherited by many other films. Then, Pizza, birra, faso (Adrián Caetano and Bruno Stagnaro, 1997) received wide acceptance by critics and audiences. Mundo grúa (Crane World, Pablo Trapero, 1999) was the first to achieve international success. And La ciénaga (The Swamp, Lucrecia Martel, 2001) shows the high expressive maturity reached by this new cinema. Together with these key works, others can be mentioned: Picado fino (Esteban Sapir, 1996), Mala época (Bad Times, Nicolás Saad, Mariano de Rosa, Salvador Roselli and Rodrigo Moreno, 1998), Silvia Prieto (Martín Rejtman, 1998), Tan de repente (Diego Lerman, 2002), Sábado (Saturday, Juan Villegas, 2001), El bonaerense (Pablo Trapero, 2002), Balnearios (Mariano Llinás, 2002), or Todo juntos (Federico León, 2002). For the first time, Argentine cinema advances; perhaps in an imprecise direction, but it is in movement. Today, style and mode of production are the same problem. To think about form is to think about production. This does not necessarily mean good movies, but at least it means a cinema without complexes. These films differ from the previous Argentine cinema that was a victim of what it couldn’t be and of everything it couldn’t have (1). For the moment, we cannot consider these new movies as part of a movement: they don’t share a collective project or a homogeneous aesthetic. Their liveliness comes, precisely, from their variety and their differences. In any event, they agree about the same independent modes of production, the absence of empty rhetoric, a strong sense of authorship, a certain generational spirit and, above all, they inherit the same Argentine history after the horrors of the military dictatorship. After the political instability and hyperinflation during Raúl Alfonsin’s government, his successor, president Carlos Menem, declared that Argentina would belong to the first world. On the surface, a neo-liberal system was imposed along with the withdrawal of State intervention in free market forces. However, under the cover of a fictitious modernisation, Menem destroyed the productive apparatus, ruined traditional businesses, increased unemployment and deepened levels of poverty. These problems are not usually the explicit subject of the new films. In comparison with the strong connection between cinema and politics during the ’70s and the opportunistic use of politics in the films of the ’80s, the new cinema of the ’90s seems less committed. But even when they don’t explicitly deal with military repression or the social and economic terror during democratic reconstruction, the new filmmakers have not given up on showing the consequences of these things. If politics are not in the forefront as a theme or as a conflict, that’s because they pervade all personal relationships: an omnipresence of the political that extends across (and produces) habits and forms of behaviour. In this sense, the characters of these films are privileged sensors, making it possible to understand the relationship between the forces of a perverse socio-economic system. I want to analyse these aspects as they are expressed in two very different but equally emblematic films of the new cinema: Martín Rejtman’s Silvia Prieto and Lucrecia Martel’s La ciénaga. The background of Silvia Prieto is the savage capitalism of the market economy while in La ciénaga it is the decrepit world of traditional rural economies. But the critical intention of both films is determined by the way politics inform narrative mechanisms and define the portrayal of behaviour. Silvia Prieto is the story of a woman obsessed by the discovery that there is another woman with the same name. Silvia (Rosario Bléfari) finds herself at a moment of her life when she needs a radical change but doesn’t know what it should be, and so she heads in different directions without being certain what to do. Silvia is on good terms with her ex-husband, Marcelo Echegoyen (Marcelo Zanelli), whose new girlfriend is a sales rep for Brite soap. The Brite girl (Valeria Bertucelli) (everybody calls her by the name of the product), in turn, introduces Silvia to her own ex-husband, Gabriel Rossi (Gabriel Fernández Capello), who turns out to be Marcelo’s old schoolmate. During the course of the film, there are no real changes, only interchanges: everyone changes position but in the end, they all remain in the same place. Rejtman works with a microcosm of characters continuously reappearing and interacting, with a minimum of situations repeated over and over, and with a limited selection of objects in permanent circulation. In the first place, the same four characters are connected by an endogamous relationship: they are all involved in the same situation and manipulate the same objects. Only the function each one occupies changes: if someone received a present, now she offers it; if someone was the husband, now he is the boyfriend. As in a structuralist model, there are always the same elements and the same limited set of functions: the function of each element is determined by the others within a series that varies and recombines itself. Since none of the characters finds his or her place, they don’t stop circulating even within a circumscribed repertoire of positions. It is a set-price self-service world, because it functions like those restaurants where the characters invariably eat: it makes no difference whether you choose one dish or another because they all cost (and they all taste) the same. Secondly, the same law rules characters and objects: the characters are interchangeable; the objects are exchanged. While the characters circulate and occupy different positions, the objects are given and received, continuously changing hands. And while the characters lack dramatic psychology, the objects are impersonal articles, serially manufactured or devoid of any emotional charge. A ceramic doll, a fur coat, an answering machine, a bottle made into a lampshade, or an Armani coat. Someone receives, buys or borrows an object that immediately passes on to a new owner. They are commodities whose “use value” tends to be eclipsed by their “exchange value”. In Marx’s terms: in our society, the exchange goods is characterised by the withdrawal of their usefulness so that “the prevailing social relationship is the exchange between individuals ‘as possessors of commodities’” (2). This is the political economy of the film: the logic of exchanges defines the logic of personal relationships. There is no affection, there are only contracts. And again: the same law rules characters and objects. While the objects are not so much utilitarian belongings as exchange goods: each character occupies the place which another leaves empty. Personal relationships appear to respond to a functional duty within the structure more than to an intimate desire. There is no other commitment. That is why there is a lack of affection and why it is so easy to break with a partner and become involved with a new one. The matchmaking TV program in which Garbuglia (old schoolmate of Marcelo and Gabriel) takes part is exemplary, because it makes explicit the levelling between objects and people: it stages a marriage contract where participants’ qualities are compared and matched in pairs as if evaluating advantages and disadvantages among similar products to decide the best combination. Thirdly, the ceramic doll first received by Brite and then by Silvia is an emblem of this reified universe. It is not the representation that must resemble its model, but the models (Brite and Silvia) that must look like the serially manufactured object. Each one’s unique identity is captured by a standard image that takes priority over any individual. The doll is a narrative thread that runs through the film, changing hands until it is collected by a boy on his way to a concert of the band El Otro Yo (The Other Me) whose singer is the second Silvia Prieto’s daughter. Therefore, the doll representing Silvia (duplicating her) is like a countersign that leads to her Other Me (to her double). The characters are performed by the situations. Things take place first and then they react. They are dragged by the strange logic of chance whose impact is confirmed by their behaviour. At the laundry Silvia receives a bag with the wrong clothes and, instead of returning it and claiming her own clothes, she decides to lose weight so she’ll be able to wear them. Gabriel is freed from prison a day ahead of schedule and sent to the province of Córdoba due to a bureaucratic mistake. The following day, when Silvia is waiting for him outside the prison, she meets instead the prisoner from Córdoba who should have been freed the previous day. And since he doesn’t have a place to stay, Silvia lodges him in her house and feeds him with the chicken she had cooked for Gabriel. The energy is never dissipated but always recycled. Instead of a previous motivation for the actions, there’s a subsequent justification that makes them necessary. In classic cinema any incorporation of chance or coincidence (the “plot points”) must be dramatically explained in order to make the story realistic and credible. Silvia Prieto, by contrast, inhabits the territory of arbitrariness and artificiality: Rejtman does not attempt to make chance a reasonable cause for the world depicted in the film. On the contrary, the world of the film is set in motion to account for chance. Therefore, the communities in the film are always a little absurd, because they behave according to an imposed logic. The second Silvia Prieto (Mirtha Busnelli) tells the protagonist: “we should be on first name terms; after all we are almost relatives”. And in the documentary epilogue, a group of real Silvia Prietos believe they are a sorority merely because they share the same name. One of them says: “Victorias are temperamental; Silvias are easier to get on with”. As if proper names were enough to define a personality and a family likeness. This vocation for superficial communities is the correlative of the characters’ impulse to make a continual use of commonplaces. They all use set expressions that simulate dialogue when they are not really saying anything. Like a community that only shares a proper name and no other bond, the empty commonplaces attempt a dialogue although there’s no communication between the characters. Why the insistence on commonplaces? Perhaps because the characters admit they do not have anything to say and look for shelter in set expressions that don’t force them into dialogue. Everything takes place on the surface and there’s nothing underneath. The problem with these characters is that everything is literal for them, everything is what it is. And nothing else. There’s nothing beyond. They are ordinary people, with ordinary lives and ordinary conflicts. Silvia Prieto feels her double is an attack against the singularity of her own identity; but now we see the threat is also the promise or the fantasy of a more intense life. How could she refrain from imagining that somewhere, another Silvia Prieto is having better luck? The double denies the face value of things: a dimension where the same things develop according to one’s own wishes. As Rimbaud wrote: true life is somewhere else. In La Ciénaga, as in Silvia Prieto, the characters are part of a closed system of relationships: the network of interchangeable bonds where everything circulates without affection (Rejtman) or the vicious circle of a family where immutable relationships are inherited from one generation to another (Martel) define, in both films, an asphyxiating world with no exit and where nothing new is produced. But while in Rejtman’s film there are only orphan youngsters, thrown together in a big city in a modern world, for Lucrecia Martel there are only families (just adults and children), in the middle of the countryside and attached to an anachronistic tradition. The plot of La Ciénaga is very simple: a warm summer, a small farm in the outskirts of the province of Salta, two families. Mecha (Graciela Borges), the owner of a small farm, has a minor accident; her cousin Tali (Mercedes Morán) comes to visit her; and during a few days, the two families, so different, re-encounter one other. The children come and go, and a certain liveliness invades this decadent rural home: José, Mecha’s elder son, travels from Buenos Aires to visit his mother; the boys go hunting on the hill; and the girls take their siesta or chat by a pool filled with dirty water. Meanwhile, the women plan a trip to Bolivia to buy school materials for their children, but then it will all come to nothing. Nothing much more happens in this world, observed attentively by Momi (Sofía Bertolotto), Mecha’s younger daughter. When you’re a child perhaps there are lots of things you don’t understand, but you’re much more perceptive. That for me was a key issue regarding the camera’s position. Not to try to be descriptive because I didn’t believe showing more would make things any clearer (3). To observe but not to describe. Things are shown just as they are processed by the sensibility, the anguish and the imagination of a child. Visually the scene is very fragmented. At the beginning we can only identify dismembered bodies; then isolated characters – impossible to decide how many – and an indefinite location. The camerawork and the editing are uncertain, trembling, unclear, as if contaminated by the characters’ staggering movements, drunk and suffocated by the heat. Despite the open space, these shots transmit an asphyxiated feeling. Throughout the film, this fragmented treatment of space and time (exploiting to the maximum the use of off-screen space and ellipses) will elaborate a singular form of what Bakhtin calls a “chronotope”: the way in which the film assimilates and depicts the perception of time and space not as transcendent but ideological categories (4). We never get to know the exact dimensions of Mecha’s country house, what its limits are, how people enter or come out, how far it is from the town where Tali lives. It is like a prison or an island floating in the middle of nowhere, separated from everything and with no escape. There are no travels, no transitions, no displacements. People come and go from the farm to the city, but there aren’t any images of the road. José is in Buenos Aires and he says he will travel to Salta; and when we see him again he has already been in the country house for some time. We never see him arriving or leaving the place. The boys play on the leafy hill that surrounds the house. One moment they are in the house and the next (by means of a jump cut) they are in the hill. But how did they get there? The metaphor of the swamp, then, is clear: because you don’t know you are in a swamp until you have already begun to sink into the mud. The same manipulation is verifiable in the representation of time. The action takes place during a few days, between Mecha’s accident and Luciano’s death. However, the characters’ passivity and idleness, their slow-paced movements, the absence of events, the rituals repeated once and again, convey the impression of a world in slow motion. When Mecha falls and injures herself, for a moment everything looks like a frozen image. Everything happens as if time passing were the same single instant eternally prolonged. This is significantly indicated by Mecha’s alarm clock permanently blinking at 12:00 because no one will set it. And just as we don’t see the spatial fringes, we don’t perceive any ultimate purpose in the course of time. It is a dense time, like the mud of a swamp that drags the characters to the bottom and prevents them from escaping. The metaphor, here, is the siesta: those moments in summer afternoons, repeated throughout the film, when time is like a suspended eternity inhabited by legendary and terrifying stories. In one of the scenes, a cow falls into a swamp. The boys that play on the hill know that it is condemned and that the only merciful attitude will be to shoot it dead. Like the cow, everybody in the film is sinking hopelessly. Including José, the only one who seems to have escaped that destiny because he lives far from the family: but nothing indicates he won’t become a good-for-nothing like his father (actually, he sleeps with his father’s ex-lover) and, certainly, as soon as he returns to the family house, he is devoured by apathy and inertia, like the others. The legend tells that one day Mecha’s mother went to her bed and decided she would never come out of her room again. That ghost weighs on Mecha like a family tradition: she is rarely seen out of bed and never without her nightgown. Mecha inherited a small country business from her parents, organised around the cultivation and selling of regional products. The red peppers lying on a tray at the beginning of the film are the base of a family economy that no longer yields profits, but everyone is too drowsy to attempt to revive it. 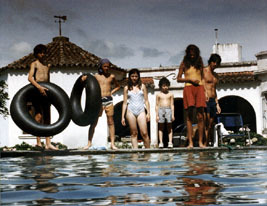 At some earlier stage the family finances were surely more prosperous; however they all prefer to live as if the good times were not over and were going to last forever – just as they do not seem to notice the water in the pool is putrefied and the house is run down, they don’t realise that the market rules have changed. Luciano’s death, at the end of the film, is shocking because it makes evident that the characters are at the mercy of their own neglectfulness. They walk on a ledge with their eyes closed and without any reflex to cause them to open them. From the beginning, it was predictable that something terrible was going to happen; but at the same time, what is terrible is that nothing happens except in the violent form of a catastrophe. It’s no surprise that in this unproductive world (where nothing changes and everything is repeated and eroded to the point of exhaustion) things are captured in a vicious circle following the cruel logic of the inexorable. The sound of the dragged deckchairs and the visual composition of the final shot refer unequivocally to the first scene. The beginning and the end, tragically identical, enclose a series of events lived by the characters without questioning their behaviour. Martel’s perspective – wrote Silvia Schwarzböck and Hugo Salas – is implacable: “As an esthetic tool, implacability implies the possibility of observing the characters with their own logic and to find within the limits of their world the conformist truth that keeps them secluded there” (5). Momi – who has visited the location where the virgin is said to have appeared, in order to beg her for a miracle – says: “I did not see anything”. The film is categorical about the impossibility of finding an escape route. While in Silvia Prieto, the commonplaces of speech make it evident that everything is a pure surface without depth, in La Ciénaga there is a viewpoint that fails to find anything beyond a familiar environment. From two different but complementary perspectives, Silvia Prieto and La Ciénaga stage that omnipresence of politics to which I referred at the beginning. A state of things where any change seems excluded from the characters’ possibilities. These films interrogate why none of the characters reacts, why they don’t realise they are wandering in circles (in Silvia Prieto) or are sinking hopelessly (in La Ciénaga). In Silvia Prieto, what is between the shots or beyond the frame lacks any dramatic function. Someone says “let’s go dancing”, and they are already dancing in the following shot. There are no transition shots showing the characters on their way to the disco, nor are there shots that allow the spectator to reconstruct the environment and situate the action of dancing: the itinerary is elided and the place is left out of frame. The situations are not contextualised and they don’t leave any trace: as soon as things happen, they are erased. Shots are not part of a chain, they just follow a succession, one after the other, one replacing the other. By isolating the actions, the film deprives them of any ambiguity. Captured in their flatness, they become strange. That’s why the shot looks artificial: to dance is only to dance, not to be in a disco participating in a collective event. Everything that is important for the film is included in the shot and everything that is included in the shot is important to the same degree. Meaning is superficial and literal. In La Ciénaga, on the other hand, ellipsis and events, which occur out of frame, are as important as what we see. What is excluded from the frame or in the editing exerts pressure on what is shown. Momi jumps into the water and she does not rise to the surface. But in the following scene, she reappears as if nothing had happened. The film shows her carelessly, dismissively. The line that separates life and death is thin and capricious: nothing happened but it might have been a tragedy. The absent moment is not suppressed for purposes of narrative economy but to endow it with greater dramatic relevance: Martel does not eliminate dead time (since the omitted fact is crucial); on the contrary, she transforms the situation into a terrible omen. What is elided returns as an atrocious reminiscence in neighbouring images, as violence, as an invisible trace tainting the other shots. The ellipsis is a black hole: a void that attracts everything towards itself. First we think “she must be dead” and then “she might have died”: danger is an omnipresent threat. What happens is permanently loaded with tragic connotations. The attitude of the magician who cures the patient by holding his hands over him is different from that of the surgeon who carries out a surgical operation (…) The contrast between the magician and the surgeon is parallel to that between the painter and the cameraman. The first maintains a natural distance from his subject; while the other, on the contrary, digs deeply in the texture of the subject (6). It could be said that these movies of the ’90s are a “surgical cinema”: a look at surfaces that dissects them, penetrates them and examines them to show them as an organism that is out of order and needs to be fixed. Distancing itself from the “local colour” still endemic in Argentine films of the ’80s, this young cinema proposes a new beginning in the relationship between reality and images, and between images and the audience. In this critique there is a transforming operation. And that operation is political, not because it sustains a certain ideology but because it founds a new community of the visible. Raúl Beceyro, Rafael Filippelli, David Oubiña, Alan Pauls, “Estética del cine, nuevos realismos, representación (Debate sobre el nuevo cine argentino)”, Punto de vista no. 67, August 2000, p. 3. Karl Marx, El capital (vol. 1), Siglo XXI, México, 1980, p. 26. Luciano Monteagudo, “Lucrecia Martel: Whispers at Siesta Time” (interview), in Horacio Bernades, Diego Lerer and Sergio Wolf (eds. ), New Argentine Cinema. Themes, Auteurs and Trends of Innovation, Fipresci Argentina, Buenos Aires, 2002, p. 74. See Mijaíl Bajtin, “Las formas del tiempo y del cronotopo en la novela”, Teoría y estética de la novela, Taurus, Buenos Aires, 1988. Silvia Schwarzböck and Hugo Salas, “El verano de nuestro descontento. Género y violencia en La ciénaga”, El Amante no. 108, March 2001, p. 11. Walter Benjamin, “El arte en la época de su reproductibilidad técnica”, Discursos interrumpidos I , Taurus, Buenos Aires, 1989, p. 43.